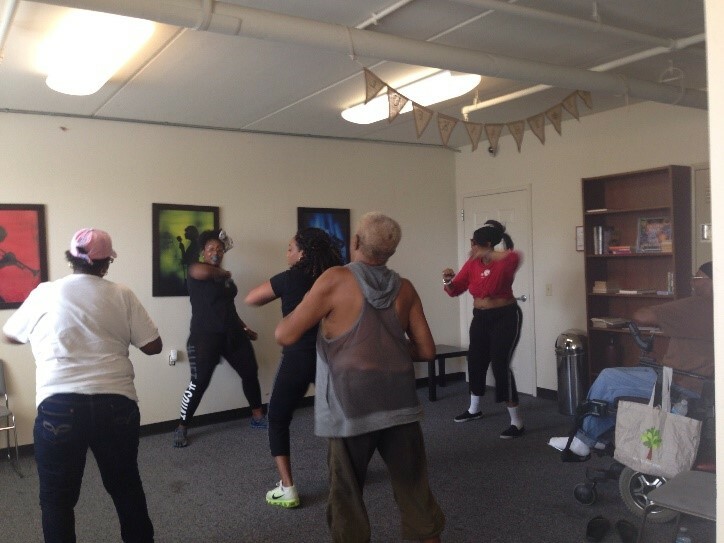 Fit to Dance was a six-month long exercise class offered to residents at Powelton Heights on a weekly basis. A certified YMCA fitness instructor facilitated the class and coordinated routines compatible for our residents. During Fit to Dance, residents were introduced to basic dance routines that incorporated cardio exercise with music and fun. Residents were also provided light refreshments that promoted healthy eating. After the program ended, several participants testified to their noticeable weight loss since beginning the class along with feeling more energetic and excited about exercising more often.